No matter which model you’re looking to drive home to Bayside, Major World Chrysler Dodge Jeep Ram has a model to pique your interest. Find the Chrysler 300 or Pacifica with the interior design and comfort, advanced technology, and upgraded safety features to keep you comfortable, connected, and safe on Eastchester streets and beyond. Drive in style in a Chrysler Long Island has to offer. Browse our inventory to find your favorite Chrysler Long Island has to offer you and your family. Also, be sure to check out other features of a Chrysler model by taking one for a test drive at Major World Chrysler Dodge Jeep Ram. 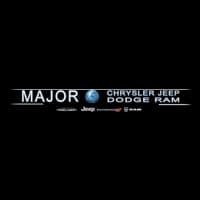 When you choose to buy a new Chrysler from us at Major World Chrysler Dodge Jeep Ram you benefit from our new vehicle specials as well as our state-of-the-art service center, genuine parts, and knowledgeable finance team to get you the lease or loan you’re looking for. Contact our finance team after searching through our current specials and get behind the wheel of the Chrysler you’ve been wanting.